Being promoted to lieutenant on the Phoenix Police Department was one of the coolest things that I have ever accomplished. I was promoted in December 2006 and, like many of you, have had an opportunity to work in a variety of assignments. In the days before Chief Garcia, career development was a personal responsibility that we all understood. Soon after Chief Garcia’s arrival we were made aware that the task of career development for lieutenants was being assumed by the organization. This was quickly followed by the swift abandonment of any transfer process for lieutenants on this department. As a reminder, PPSLA (along with significant member inclusion) had already settled upon what we felt was equitable five-year rotation policy for lieutenants. Although this was not an initiative brought forward by PPSLA we understood that the department has the ultimate authority to decide where its employees were assigned. PPSLA has always struck this compromise between the disciplined, aggressive representation of our members and the duties and responsibilities of leadership within our organization. Nevertheless, the efforts of the PPSLA executive board and members of the former executive staff were cast aside ostensibly to allow Chief Garcia to maneuver us along in our careers. The actual result of this edict was predictable. I outlined these concerns in a career harpooning email some of you may remember. The results were laid bare in January 2013 when many of us were either thrust into assignments we had never considered or were sent back to what a friend of mine calls “general population” in patrol. So what happened? The decision to arbitrarily place lieutenants in assignments which were in no way aligned with their career aspirations allowed commanders to choose their subordinates based on criteria which were unencumbered by the nagging requirements of documentation, objectivity, and a sense of fairness. 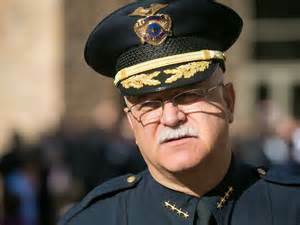 It should be remembered that prior to the January 2013 bloodletting, lieutenants were offered the opportunity to submit “cover letters” which were summarily ignored and have since proven to be a farcical exercise in obfuscation and indicative of the shadowy actions of our command and executive staffs. My own anecdotal observations indicate a deep sense of confusion at the seeming wrath directed at an employee population who have competed and striven for positions of responsibility throughout our careers. We have 77 lieutenants in the Phoenix Police Department, and the reason we retain our passion for professionalism and leadership is because of our personal convictions and the unwritten code of honor we share with our fellow employees. It is most assuredly not a reflection of the enlightened management we have experienced. Another friend likened our current mindset to a priest who has begun to question his faith but must still deliver sermons every Sunday. That really hit home with me, and it made me angry at myself for allowing an egotistical marionette to dictate my attitude towards an agency I have loved since my first day in the academy. So please keep leading and executing secure in the knowledge that you have earned the respect of your peers, and in the end that is what truly matters.